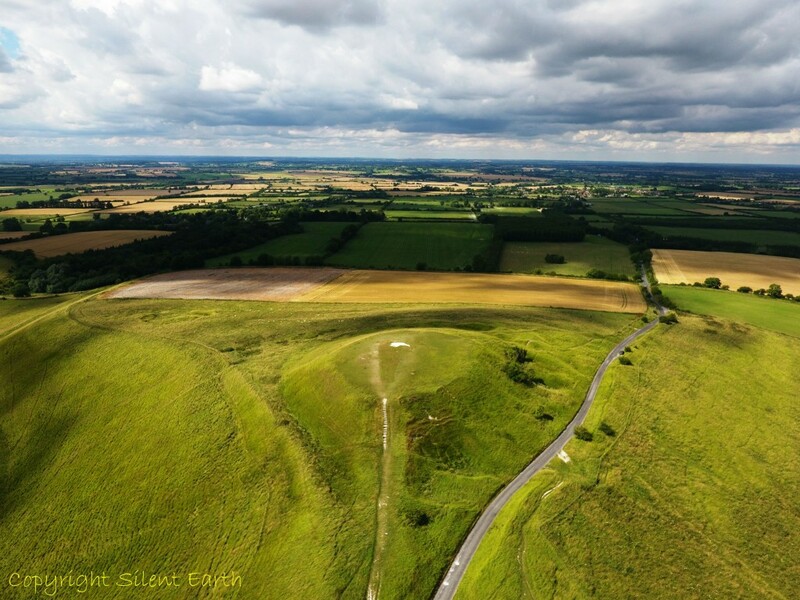 Through the eyes of a seven years old child, I experienced my first view of the chalk hill figures of the White Horse of Uffington and the Cerne Abbas Giant in Dorset. Since that time so many years ago, each image, like the land itself, has been welded into the core of my consciousness, etching its own unique perception. 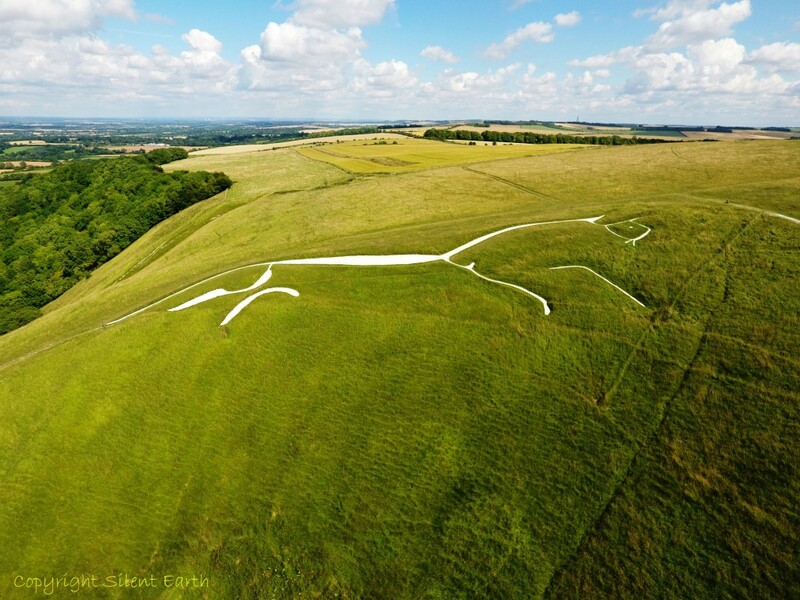 My first sight of the white horse was during the summer of 1969 visiting relatives at Stanford in the Vale in Oxfordshire. That first view conjured up images of dragons, horses, serpents, monsters and ancient heroes, somehow carved so perfectly and appropriately out of the very fabric of the land itself. There was also an underlying feeling of my spirits being naturally uplifted by the landscape, the hill figure and, somehow, by our ancestors themselves. This prehistoric ‘artwork’ was succinctly described by Paul Newman in the 2009 edition of ‘Lost Gods of Albion‘ as a ‘triumph of imaginative omission’. The opening lines of G.K. Chesterton’s The Ballad of the White Horse ‘Vision of the King’, written fifty eight years earlier, also captures the wonder a seven year old boy felt towards our ancestors when first glancing upon the white horse on a summer’s afternoon in 1969. The book is published in its entirety here by Project Gutenburg. 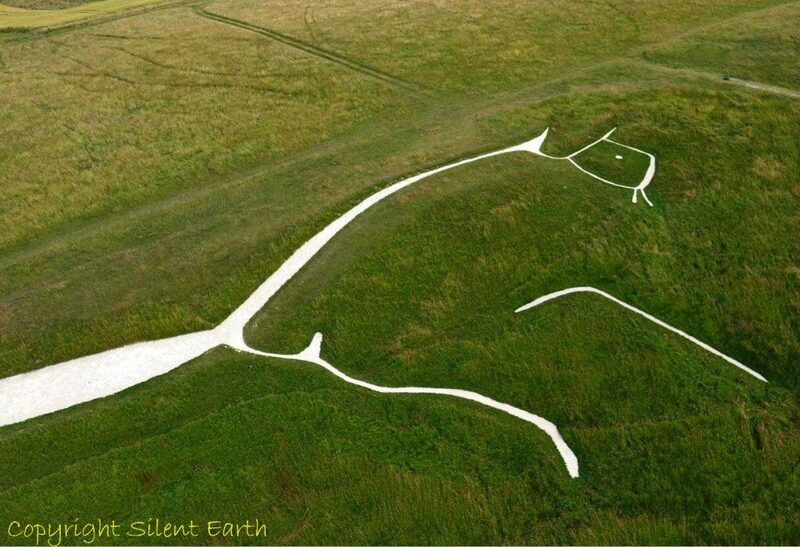 The white horse, dragon, or whatever creature it may represent, faces northwest and is 360 feet long and 130 feet tall. Soil testing from between the lower layers of the chalk shows that it has been buried since between 1400-600BC, and probably between 1200-800 BC, suggesting the figure is of Bronze Age origin. Although this date is too early to ascribe any direct connection to Epona, the British aversion to eating horse meat may have deep roots in the prehistoric veneration of horses and perhaps deities associates with horses. 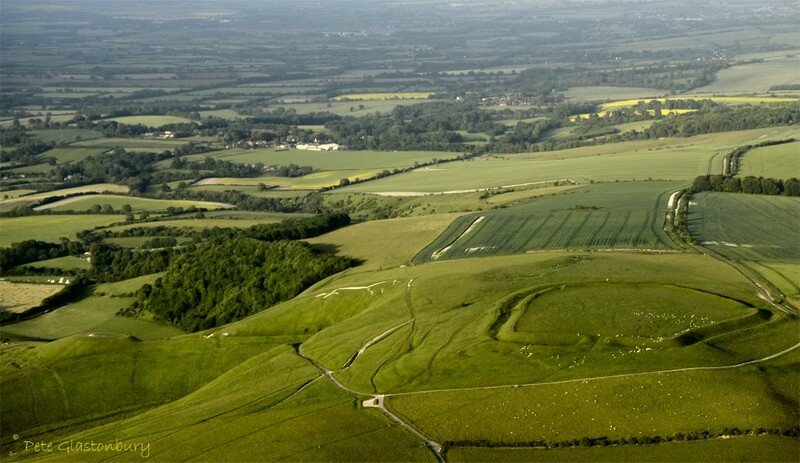 Above: Looking north from Dragon Hill towards the white horse. Dragon hill is a spur of the Down which has been artificially shaped for reasons that are not known. Legend suggests it was on this hill, long ago, that Saint George slew the Dragon. There is a barren patch of chalk at the summit of the hill here where grass and vegetation will not grow. I have been told that a chemical analysis of this area has been conducted and it is no different in composition to the rest of the hill. Local tradition explains this anomaly arises as it was where the blood of the Dragon was spilt when St George lanced it. 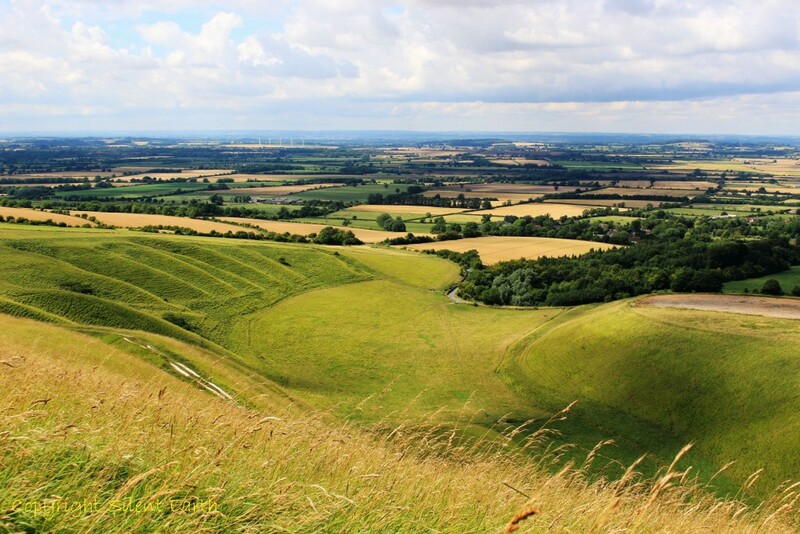 Below the white horse, a deep combe, called The Manger, falls away, and further to the west are a series of ice-cut terraces known as the Giants Stair’s, which are visible here. 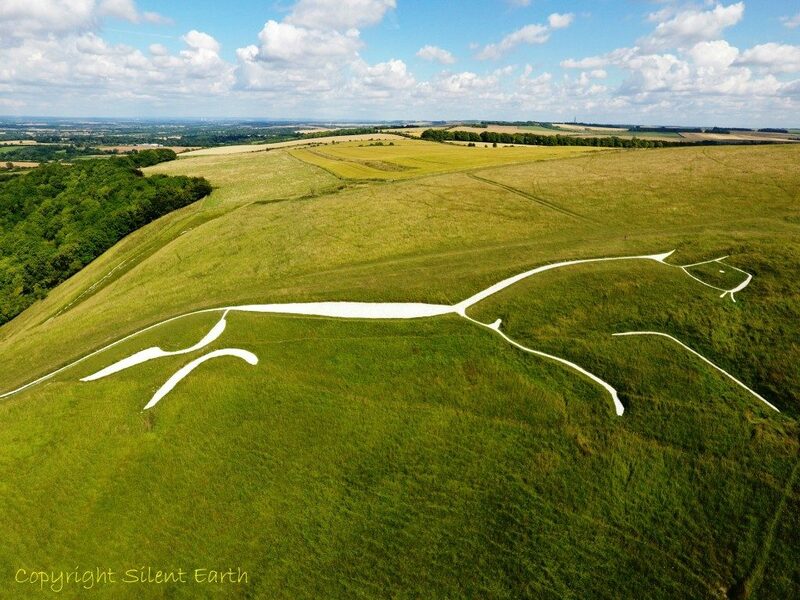 When our grandchildren’s great grandchildren have departed this world, the White Horse of Uffington will remain as a silent, enduring witness to Britain’s yesterdays and tomorrows. From on high, beckoning the suns rays for a harness to a golden chariot of the sun. The aerial photograph below, kindly provided by Pete Glastonbury, shows Uffington Castle, the white horse and Dragon Hill. 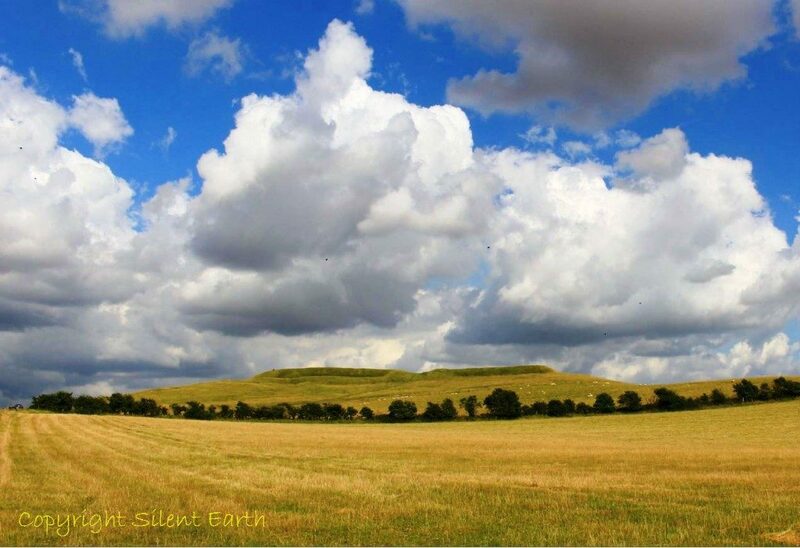 Antiquarians once suggested that Uffington Castle was used as an encampment by invading Danes who were subsequently routed by King Alfred the Great. Coins of the Dobunni tribe have been found in the vicinity indicating earlier activity at the hillfort. 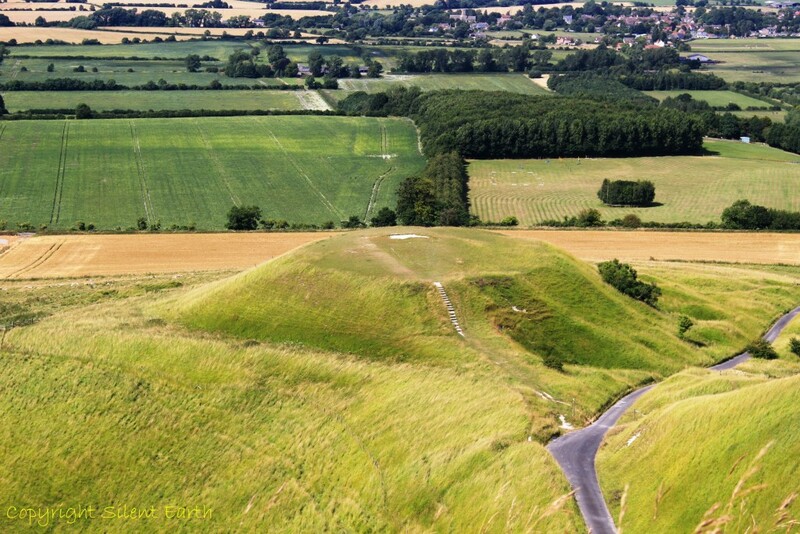 Between the white horse and Uffington Castle is a ‘pillow mound’, excavated in 1857, containing forty-six Roman burials. Four of the bodies were headless and five of the skeletons had small bronze coins placed in their mouths. An urn that may have been the core of a Neolithic cist burial was discovered in the centre of the mound. 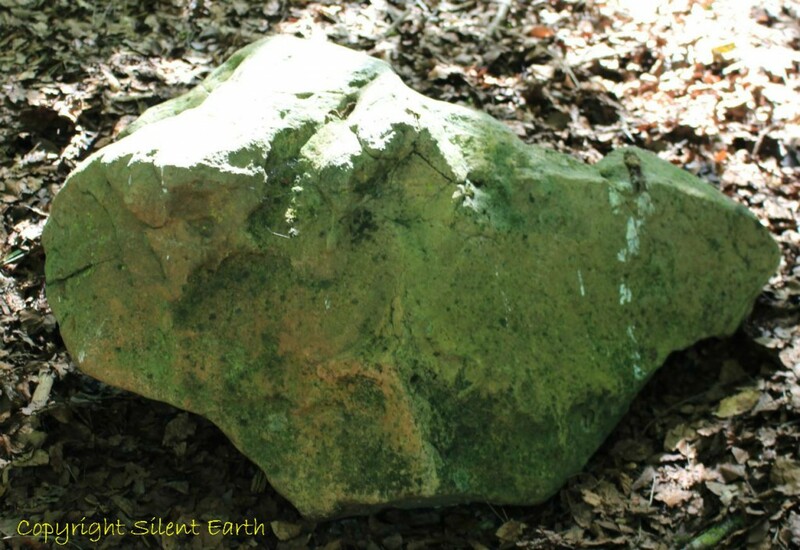 Below: A sarsen stone in the National Trust White Horse Hill car park. 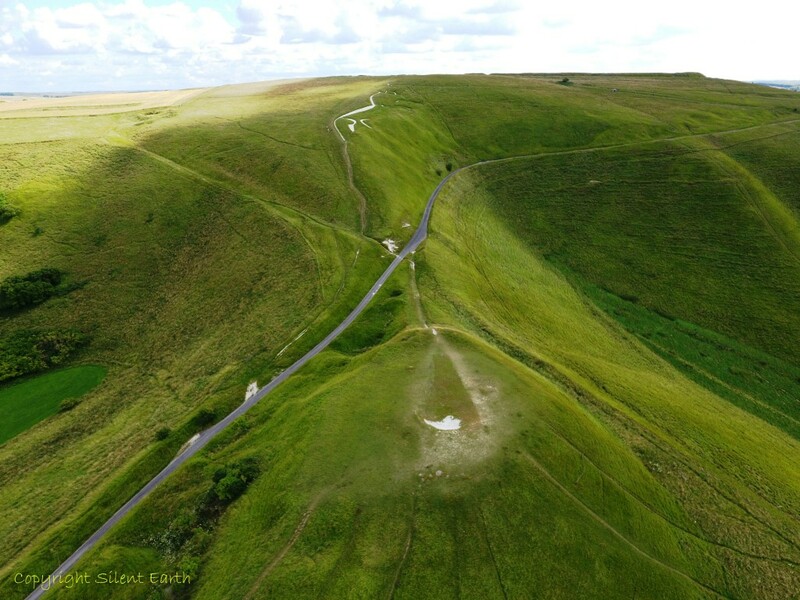 Below: Dragon Hill, 29 July 2016. Thank you to Andy Foley, Pete and Sammy Glastonbury, Tristan Hyland and to The National Trust for all relevant permissions.